Yorkshire Vikings host Lancashire at Emerald Headingley on Sunday 21st April in what is sure to be a thrilling Roses encounter. Tickets cost just £1 for juniors (16 and under), £18 for adults and £12 for seniors. Family tickets (Two adults and two juniors) are also available for £36. Yorkshire cricket will be showcasing the ‘All Stars Cricket’ scheme, which provides an introduction to the game for five to eight year olds, with a range of activities going on around the ground including free taster sessions in the Yorkshire Cricket Centre. 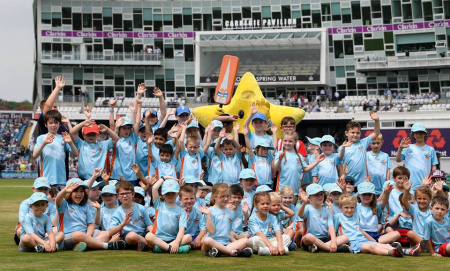 The All Stars Junior Vikings membership will be available for the 2019 season, giving juniors signed up for All Stars the chance to watch Yorkshire CCC at home (excluding the Vitality Blast game against Lancashire Lightning) for just £5. Buy All Stars Junior Viking Membership: https://tickets.yorkshireccc.com/Online/default.asp?